DAV helps veterans get the benefits they’ve earned. Help us make a real difference in a veteran’s life. DAV helps veterans on their most important tour; the tour of their lives. With your donations, DAV helped over a million veterans and their families in 2018. Learn more about our impact. Help make sure that, after defending our freedom, our heroes and their loved ones get the care they earned. Volunteering through DAV is a wonderful way Americans help keep our nation’s promise to our veterans. Help the brave men and women who have served by donating any car, truck, RV, or boat — in any condition and from any location. Your gift is tax-deductible! Join the fight and become a DAV life member today. For most veterans, finding a good job after military service is critical to making a successful return to civilian life and being able to support themselves and their families. Visit wintersportsclinic.org for more information on the upcoming event. Making it easier than ever to support those who've served and their families. Promote and find opportunities to make a difference here. Thank you for joining DAV! We'll keep you updated on important veteran issues and how you can help. Disabled American Veterans (DAV) will be at the Marion VA near the flagpole today. The group will then be at the Mt. 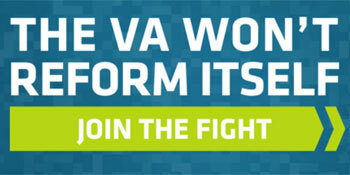 Vernon VA Community Based Outpatient Clinic on Wednesday. The mobile office makes periodic trips throughout the state and was initiated as a way to provide services to disabled veterans who can't get to the office in Chicago. Veterans will receive assistance filing claims for their benefits.